As the main function of the eye is vision, it has a structure very similar to a camera. The eye collects light to focus it on a light sensitive membrane. The Cornea is the clear front of the eye and is the major refractive surface, that is, it is most responsible for the light focus. The Iris is the coloured part of the eye that has a circular hole in the middle called the Pupil. Light passes through the Pupil into the eye. The Iris adjusts the size of the Pupil to suit the lighting conditions. The Lens is also responsible for focusing the light, and when you are young it is supple and can change shape. This allows the eye to focus on near objects (like an autofocus in the camera). 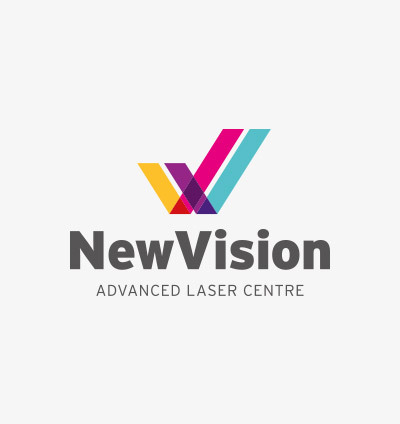 After time the Lens becomes too hard and is no longer able to change shape so reading glasses are required (a condition doctors call presbyopia). The Retina is the light sensitive layer on the inside the eye. The back of the eye (most posterior part) is called the Macula. In the centre of the Macula is a small depression (or shallow pit) called the Fovea, this is the focal point of the eye. 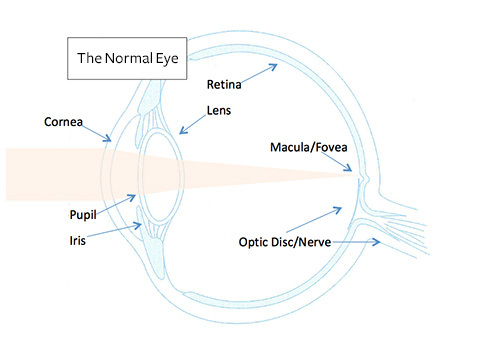 The fovea has the most number of receptors to detect the image that the Cornea and Lens brings to focus. The Optic Disc is the first part of the Optic Nerve which we can see when we look into the eye. In the centre of the Optic disc there is a small shallow cup-like depression, which doctors call the Optic Disc Cup. Blood vessels (Optic Artery and Vein) that supply the Retina, pass through the Disc from the outside of the eye. Behind the Retina on the inside of the eye is the Retinal Pigment Epithelium (RPE) which has a support function for the Retina. It has a separate blood supply from the Retina. The outer coat of the eye is the Sclera – the “white” of the eye, is covered in a membrane called the Conjunctiva (like a “skin” for the eye.) The Conjunctiva also lines the inside surface of the eyelids.